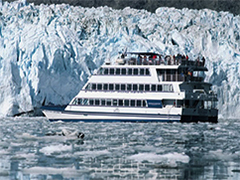 Welcome to the Ice Age - Join Alaska's famous Glacier Bay Cruise ! Glacier Bay National Park - with its high mountain peaks, ice-sculptured fjords, an abundance of marine wildlife and massive tidewater glaciers - is one of Alaska's most spectacular National Parks and best seen during your Glacier Bay Cruise. When Captain George Vancouver sailed through the ice-choked waters of Icy Strait in 1794, Glacier Bay was little more than a dent in a mountain of ice. In 1879 John Muir made his legendary discovery of Glacier Bay and found that the end of the bay had retreated 20 miles from Icy Strait. Today, glaciers still cover 27 percent of the Park. There are more than 50 named glaciers of which seven are active tidewater glaciers that calve icebergs into the sea. Two of them, Johns Hopkins and Margerie Glaciers, are advancing. Encircling the park to the west is the Fairweather Range, the highest coastal mountains in the world at 15,000 feet. Experience Glacier Bay from the comfort of the catamaran during a Glacier Bay Cruise. The bay is rich with marine life, including the endangered humpback whale, orcas, threatened Stellar sea lion, harbor seals, sea otters and porpoises. 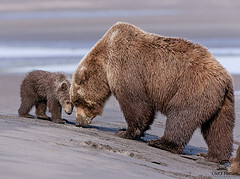 In addition Glacier Bay is home to a large bear population, both brown and black, as well as the blue glacier bear, a rare color phase of the black. Sitka blacktail deer and mountain goats thrive in the park. Popular activities are kayaking, glacier viewing and whale watching. Experience and discover Glacier Bay National Park in southeast Alaska on one of our best selling 1-4 day all-inclusive package tours with daily flight departures from Juneau, Skagway or Haines. 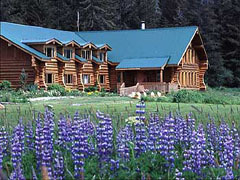 Join the full day Glacier Bay Cruise and stay overnight in first-class wilderness lodges at Bartlett Cove and Gustavus. We also offer the most affordable individual self drive tours from Juneau to Anchorage or VS. Discover Glacier Bay the adventurous way and join us on one of our professionally guided 3-6 day Sea Kayak Tours throughout the scenic Muir and Tarr Inlets, up-close-and-personal Orca Whale Watching at Point Adolphus, exciting Salmon Fishing Trips and world-class Bear Viewing at the famous Pack Creek Sanctuary on Admiralty Island. Surely the adventure of a lifetime and a perfect start of your pre/post Cruise Tour. Sail Alaska's remote waterways within the Inside Passage and visit tiny ports unaccustomed to the crowds of the larger cruise lines. 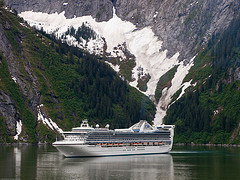 Experience a unique, exclusive and rewarding perspective on magnificent sceneries, astonishing wildlife viewing opportunities and engaging native cultures within Glacier Bay National Park, one of Alaskas premier travel destinations.